Project 21 member Carl Pittman was born and raised in a two-room, tin-roofed house in Fulshear, Texas heated by a wood-burning stove, had no air conditioning and had no running water until he was a teenager. After his father died when he was only seven years old, Carl and his two sisters were raised solely by their mother. They paid the bills by tending to crops such as pecans and cotton. After being honorably discharged from the U.S. Marine Corps, Carl enrolled in the San Diego Police Academy. He later served as a peace officer in National City, California and Harris County, Texas. As an officer, he has dealt with gangs, drugs, illegal aliens, burglary and theft, motorcycle and traffic enforcement and many other aspects of law enforcement. Additionally, Carl is a licensed real estate and mortgage broker and the founder of The Pittman Company real estate business. 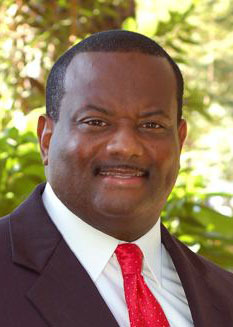 He is also the author of the book The Personal Journey of a Black Common Sense Conservative. In 2012, Carl ran for sheriff in Harris County, Texas.